It is a beautiful new year with new possibilities. Can’t believe it is already the end of February and now is the first time I get to write about something big. 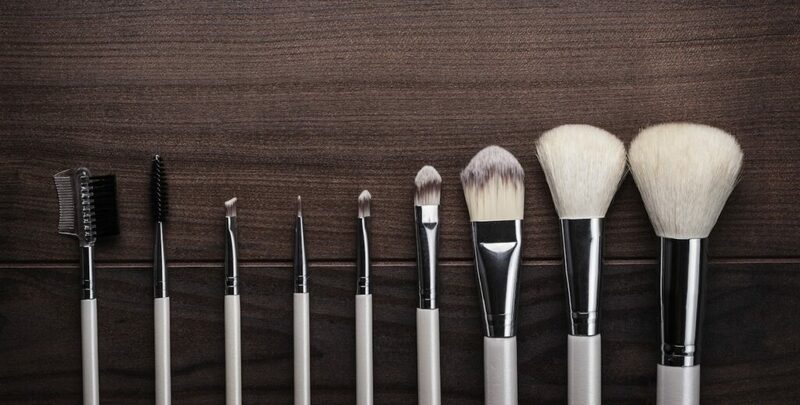 When thinking about my journey as a Make-up Artist, I think of describing it as me being the student. There is always something new to learn. I like to do research and attend courses to stay up to date with the latest trends and techniques. When thinking about it, I could compare it to a baby. There is someone who is always feeding the baby some milk. Then one day, “suddenly” the baby becomes a grown-up and it is time for the baby to pass on the knowledge to a new generation. Last year I entered a new level in my career where I got my very first make-up artist intern. Josefina followed me on various make-up projects to see what it is to work as a Make-up Artist. Suddenly, I became the teacher and it is my turn to pass on my knowledge and experiences to the next generation, my interns. 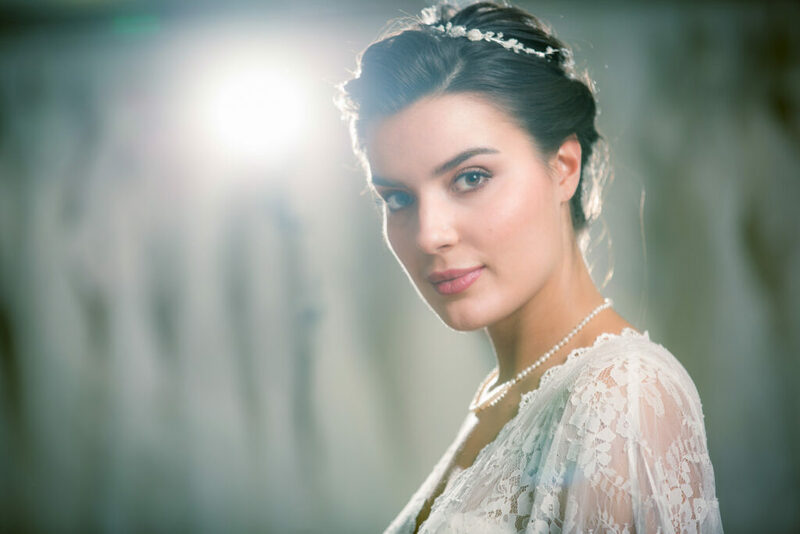 One of the teaching projects was to do makeup and hair for a bride and learning how to work with bridal clients. Before I can trust her with my real bride clients, I wanted to test her by arranging a wedding photoshoot with one of my favorite wedding Photographers, Daniel Gual. 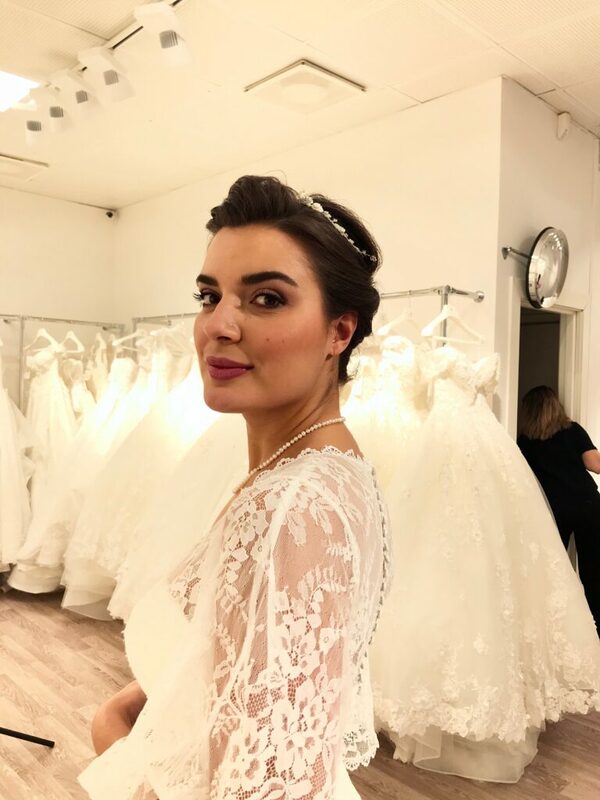 To make it fun and relevant, I decided on doing a theme which are currently very trendy and asked the friendly staff at Stockholm Brud & Fest if we could borough one of their dresses for the photoshoot. They sent me a few pictures of a few dresses which I was allowed to choose from. There was one dress, the Balcan B, which particularly caught my eye. The style of the dress is Boho chic and it happens to be a strong trend in 2019. 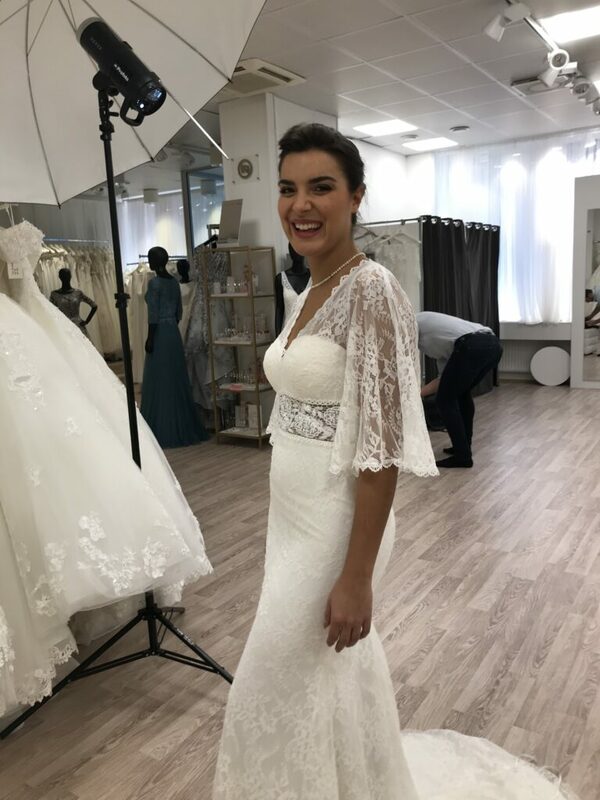 The Balcan dress had a beautiful mermaid shape which accentuates the slimming female curves, a low V-neck and beautiful, soft lace covering and hanging from the shoulders and the back is completely covered in lace. Before doing the finishing touches of our bride’s hair – Daniel was setting up his studio lights. 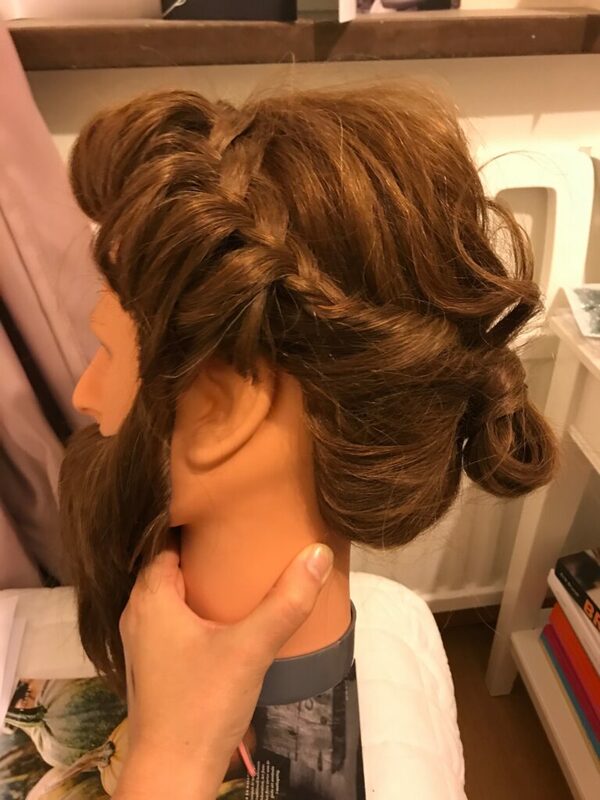 Unfortunately, I don’t have pictures of what Marike’s hair looked like at the back, but I have a few behind – the -scenes pictures of when I practiced the look on a doll. 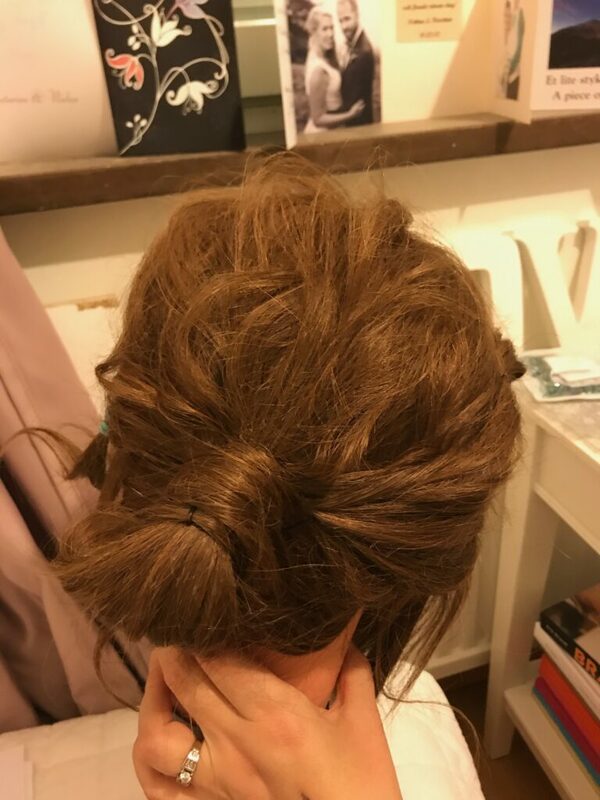 We had so much fun creating this look. To my assistant, Josefina: thank you for helping me with the smaller details like taking behind-the-scenes photos and making sure Marike felt comfortable. It was such a wonderful experience to teach Josefina new things. They were so happy with my teaching skills, that they appointed two students to me this year. Stay tuned to see what we are doing this year! 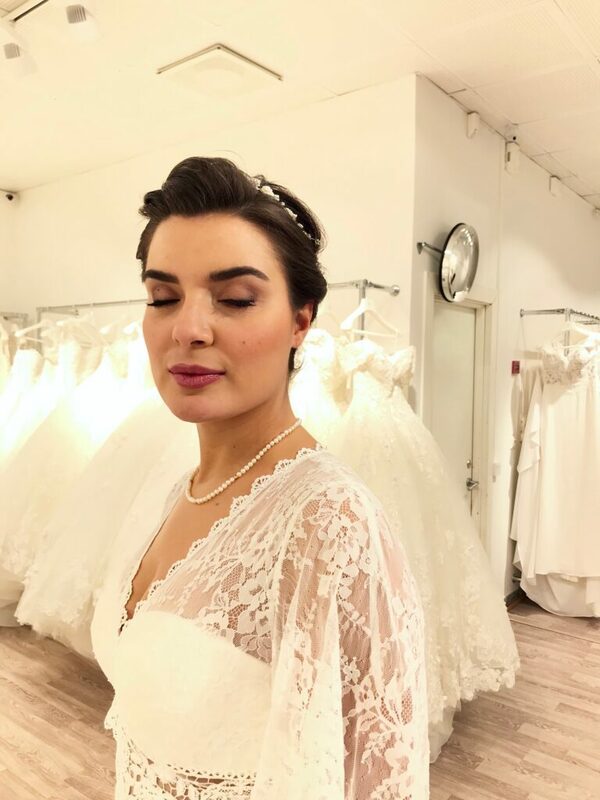 Other wedding dress trends for 2019 includes dresses with a low V-neck; bohemian dresses; wedding dresses with 3D flowers on it; dresses with lace and romantic A-line dresses. Newer Post Hair Course from Björn Axen	Older Post When your work appears in wedding magazine, Bröllopsguiden. / Brud smink och hår i Bröllopsguiden.